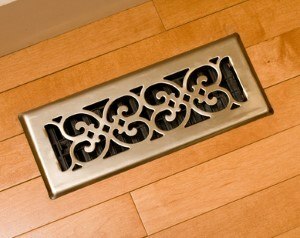 As your home's furnace starts to get older, it is likely going to start requiring more and more frequent repairs in order to continue running safely and effectively, and at a certain point, contacting a State College area heating contractor to assist you with a furnace replacement is likely going to be the more effective option. Here at The Best HVAC, we are the State College area's premier HVAC company, and when the time comes to finally replace your home's old furnace with something newer and more efficient, we are the team of experts to call when you want the job done right. Is your home's furnace getting up there in years, has it been struggling to heat your home lately, or does it just seem to be constantly breaking down? Whatever the case might be, our team of furnace replacement professionals will work with you directly to help you find the best solution for your home. Here at The Best HVAC, our team of experienced professionals understand what a big investment a furnace replacement is, and we want to assure you that we are never going to push you to do so when simple repairs would be enough to solve the issue. If, however, it does turn out that a full-on furnace replacement is going to be the most cost effective option for your home, you can count on our team of professionals to provide you with the quality installation services you need to get the absolute best from your new system in terms of both performance and efficiency. If you have any questions about our furnace replacement services, or if you would like to schedule an appointment for consultation, give us a call today. Our team of professionals are always available and ready to assist you in any way we can. Furnace replacement is definitely not the kind of service you want to attempt on your own, or entrust to someone who isn't completely certain of what they are doing. Here at The Best HVAC, our team of furnace replacement specialists have been performing this service for years, and we have the skill and experience necessary to understand what needs to be done to get the job done right, and get it done right the first time so you don't wind up with any installation-related issues just a couple of months down the line.